As summer approaches, get those kids outside and have some fun! Plus, you can’t beat the extra family time. Here are some ideas for the outdoor fun that are sure to have your kids begging to play outside. 1. Have a picnic. 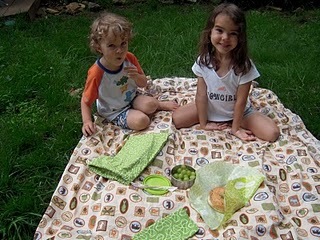 You can have a picnic in your own backyard, at a local park or for a big time go to the local zoo. Grab a big bag, a vinyl tablecloth and some reusable containers. Along with packing food and drinks, you may also want to grab some sand toys for the kids. Your kids are sure to love getting out for a relaxed family meal! 2. Play FAMILY sports. (Yes parents this means you play too!) Grab a soccer ball, baseball and glove or football. One of my husband’s fondness memories of his Grandmother is when she would play football with all the kids at family gatherings. Be “that” kind of parent or grandparent. 3. Bubbles, Bubbles and more Bubbles. Every kid loves bubbles. If you don’t want to go buy bubbles or if you would like to make a bubble project you can have your kids make their own bubbles using dish soap, water, and coat hangers. You can shape the coat hangers into many different shapes making a range of bubbles. 4. Games. Play a good ol’ game of Freeze Tag, Freeze Dance or I Spy. You can also paint a big Twister Board on your yard if you a brave enough. How many of you spent hours playing these games when you were a child? With I Spy you may want to put together a scavenger hunt type of list and have your child spy and collect things from around your yard. 5. Ride Bikes. Our daughter now loves to ride her bike. We go on a family rides around the block. She loves it and asks for it often. If you think bike safety is important then please have your kids wear an appropriate helmet and guards. What happened to the 80′s when we never wore helmets and we all had awesome gravel scars? 6. Go for a walk. I love going on family walks. We like to walk up to the 7-11 that’s about a half mile away to get slushes. It is a good reward and is cool on a hot day. We also have some land behind our house which will be fun for exploring this summer. My daughter loves collecting rocks. 7. Paint Rocks (Outside). Most parents hate letting their kids paint because it’s messy so why not strip them down to their skivvies and let them paint rocks in the backyard. Afterwards, you can hose down your painted up kiddo and the work area too. 8. Sidewalk Chalk. Whoever invented this stuff is brilliant! Park your cars at the end of the drive to block it off for a sidewalk art event. Invite the neighbor kids to come help make a masterpiece in your driveway. Good news it washes off! Your kids will have a blast. 10. Let your kids get dirty. Kids love to be creative and play mostly in stuff that they are not supposed to. Why not allow them to play in the mud? It is great outdoor fun! Have a special set of toys and clothes just for messy play. 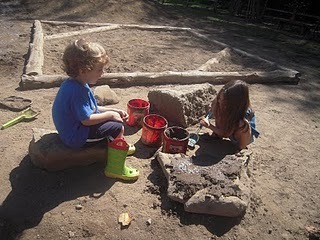 Do you remember making mud pies? It’s time to teach your child to make them too. I would advise you to tell your child not to eat the Mud Pies as mine got a nice mouth full of dirt. Guess she will know better next time! I hope you have a wonderful summer full of fun outdoor fun activities with your kids! 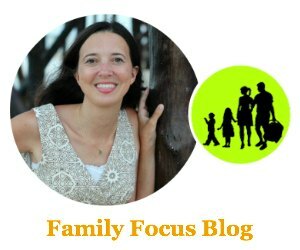 If you have any favorite fun activities for kids that I didn’t mention, I’d love it if you share and leave a comment!